The top Republican and Democrat on the Senate Judiciary Committee say President Donald Trump's son-in-law hasn't been fully forthcoming with the panel's probe into Russian election interference, asking him to provide emails sent to him involving WikiLeaks and a "Russian backdoor overture and dinner invite." Senate Judiciary Chairman Chuck Grassley and Democratic Sen. Dianne Feinstein sent a letter to Jared Kushner's lawyer Thursday saying the collection of documents he has provided the committee is "incomplete." The committee gave Kushner a Nov. 27 deadline to provide the additional documents, including the forwarded emails and Kushner's security clearance form that originally omitted certain contacts with Russian officials. Grassley and Feinstein are also asking Kushner for correspondence with former national security adviser Michael Flynn, who is a subject of an investigation by special counsel Robert Mueller. 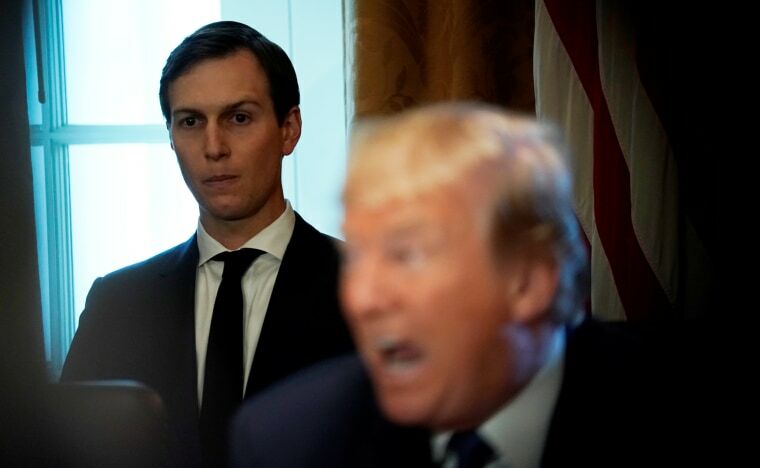 The senators noted they have received documents from other campaign officials that were copied to or forwarded to Kushner, but which he did not produce. Those include "September 2016 email communications to Mr. Kushner concerning WikiLeaks." Trump's eldest son, Donald Trump Jr., corresponded with WikiLeaks that month and, according to The Atlantic, sent an email to several Trump campaign advisers to tell them about it. Grassley and Feinstein also wrote that other parties have produced documents concerning a "Russian backdoor overture and dinner invite" that Kushner forwarded but has not given to the committee. It is unclear what overture and dinner invite they are referring to. In the letter to Abbe Lowell, Kushner's lawyer, Grassley and Feinstein wrote they "appreciate your voluntary cooperation with the committee's investigation, but the production appears to have been incomplete." Lowell said in a statement that Kushner has been responsive to all requests. The letter comes as the committee's investigation has stalled amid partisan disputes. The new request is a sign that the panel is still moving forward with its probe into the Russian interference and whether Trump's campaign was involved. The Judiciary Committee also interviewed Russian-American lobbyist Rinat Akhmetshin this week as part of the investigation; Akhmetshin attended a meeting with Donald Trump Jr. and a Russian lawyer last summer that has captured the interest of investigators. In the letter to Kushner, the senators noted they had asked Kushner to provide documents to, from, or copied to you "relating to" certain individuals of interest to investigators, but Kushner's response said no emails had been found in which those individuals were sent emails, received emails or were copied on them. The committee also asked for additional documents related to Flynn, detailing a long list of search terms, and rebuffed Kushner's lawyer's arguments that his security clearance is confidential and unavailable because it has been submitted to the FBI for review.